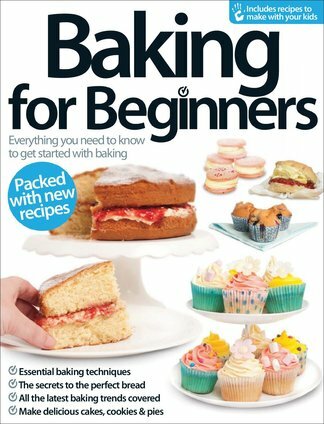 Baking for Beginners is the perfect book for anyone wanting to create mouthwatering masterpieces. From the basics such as how to roll pastry, the equipment you'll need and how to whisk, beat, measure, fold and knead, you'll learn all the techniques you'll need in the kitchen. You'll then find simple recipes for cakes, biscuits, bars, cookies, pies, tarts, bread and more, with clear instructions and inspiring images. There are also great ideas for you to try with your kids. So whether you fancy lemon cupcakes, blueberry muffins, chocolate chip cookies, granola bars, apple pie, wholemeal bread or cheese twists, there's something here to tickle every tastebud. Be the first person to tell us what you think about Baking for Beginners and you'll save $5 on your next purchase!